Sunbanks Resort guests can enjoy the convenience of the boat launch located just north of the lodge and general store. The 50-slip docking facility is located just west of Juneau Bay and next door to the Beach Shack rental store. The boat launch is available to all guests and can accommodate ski boats, jet skis, wave runners, fishing boats, party barges, and other water vessels. Guests can make advance reservations to arrange their boat’s moorage during their stay. Moorage fees are $32-37 per night. Located right here in the beautiful Sunbanks Resort is KJ Watersports, providing you with watercraft rentals. Among their rental fleet are ski boats, pontoon boats, and jet skis; as well as stand-up paddle boards, wakeboards, kneeboards, and tubes. With 27 miles of lake to explore, any of these boat rental choices are a perfect fit to make sure your family enjoys the spectacular Banks Lake the right way. Even if you were planning to bring your own boat to the resort, how much less of a hassle would it be to rent from them instead? You would have more room for yourselves and luggage, wouldn’t have to bring the “big rig” that consumes more fuel, and you wouldn’t have to mess with launching your boat and parking your trailer. Whether you own your own boat or just want to give boating a try, let KJ Watersports make your vacation a little more hassle-free as well as memorable. To locate KJ Watersports within the resort, just make your way down to the boat launch and you will find them in the rental shack just before the dock begins. So while you are making your reservation for a family vacation at the resort, be sure to give them a call as well and book your boating fun at the same time! 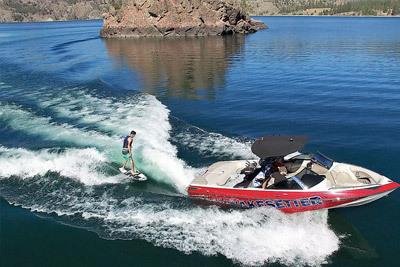 For more information and pricing, visit their website at bankslakeboatrentals.com or give them a call at (509) 633-8079; or (509) 681-0283 in the offseason. Sunbanks Resort is known for family fun and outdoor activities. After a long day of jet skiing, water skiing, fishing, and boating, every camper is in need of a long, hot shower. Tent campers especially will appreciate the hot showers conveniently located immediately south of the Lodge. Sunbanks Lake Resort’s tent and RV sites offer plenty of shade trees and beautifully landscaped grounds with many grassy areas. The campsites feature many waterfront tent sites for quick access to the lake right from your camp. 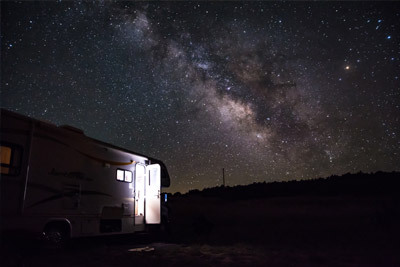 All RV sites offer electric and water hookups. Full hookups with sewer are also available. There is a 6-person limit per RV/tent site. Tents sites can accommodate up to two four-person tents. Every vacationer needs a little break every now and then. 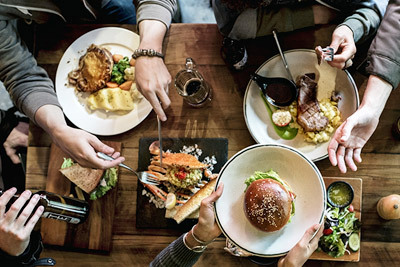 Sunbanks Resort’s Coulee Cantina Restaurant and Lounge offers the perfect opportunity for the whole family to grab a bite and a beverage. From its brightly colored, hand-crafted wooden tables, to the worn wakeboards adorning its walls – The Coulee Cantina and Restaurant is a testament to Sunbanks Resort’s “fun in the sun” slogan. The cantina overlooks the south end of the picturesque Coulee Corridor and is situated on the east side of Sunbanks Resort, near the Lakeside Villas. The cantina has a full-service kitchen and bar, serving up dinners and appetizers. Campers can treat themselves to burgers, wraps, pasta, and more. In addition to their full-service kitchen, the cantina boasts its own brick pizza oven. Diners can build their own pizzas, or choose from one of the cantina’s specialty pies, including chicken alfredo, meat lovers, or vegetarian. Check out the cantina kids’ menu for kiddie favorites like chick strips and hot dogs. The Coulee Cantina Restaurant & Lounge is open from 4 pm to 11 pm throughout the peak season. The Cantina Lounge is a great place to relax after a long day of wakeboarding, jet skiing, fishing, or kayaking. Adults can sit back and relax with a cocktail while kids slurp a Shirley Temple. This fully equipped bar has everything from wine to martinis to mixed rink and margaritas. The lounge is open until 11 pm on weekdays, and until midnight on Fridays and Saturdays during peak season. If you’re looking for cheerful, smiling faces in the morning, Sunbanks Resort’s Espresso Café is the perfect place to stop off by to get your day started right! Espresso Café is located in the main lodge, nestled in the heart of the resort. 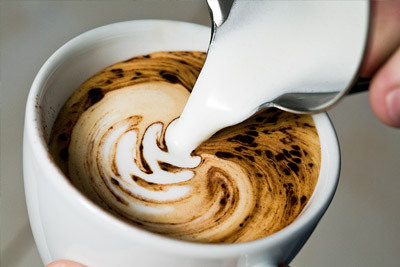 Even the most dedicated coffee devotees won’t be disappointed by the assortment of espresso and other beverages prepared by the cafe’s welcoming baristas. Whether you’re looking to ward off the chilly morning air with a double-tall peppermint mocha, or hoping to cool down with an icy granita or Italian soda, Espresso Café promises to please. The café also offers a variety of tasty baked treats including muffins and cookies. There’s nothing worse then getting to a resort and finding you need to leave the premises just to pick up some basic supplies. 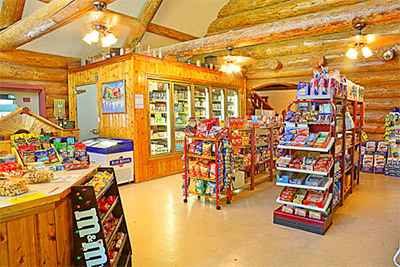 This won’t be the case for Sunbanks Resort’s visitors, because in addition to the Coulee Cantina Restaurant & Lounge and the Espresso Café, the resort also boasts its own General Store. The General Store sells everything from hot dog buns to beer to beach towels and other souvenirs. This full-service store offers a variety of products to cater to all resort-goers. In addition to selling food supplies, toiletries, and clothing items, the General Store also offers beer, wine and cigarettes. For many travelers, a forgotten bathing suit or diapers could mean a ruined trip. But at Sunbanks Resort these items can be easily found at the General Store, located in the Lodge. The General Store is open from 7am to 11pm throughout peak season. The beautiful grounds of Sunbanks resort are the perfect place to host a family reunion, wedding reception or any other gathering. Guests are welcome to arrange their own food catering and banquet staffing. The rugged, scenic beauty of the Banks Lake area is an ideal setting for get-togethers of all types.